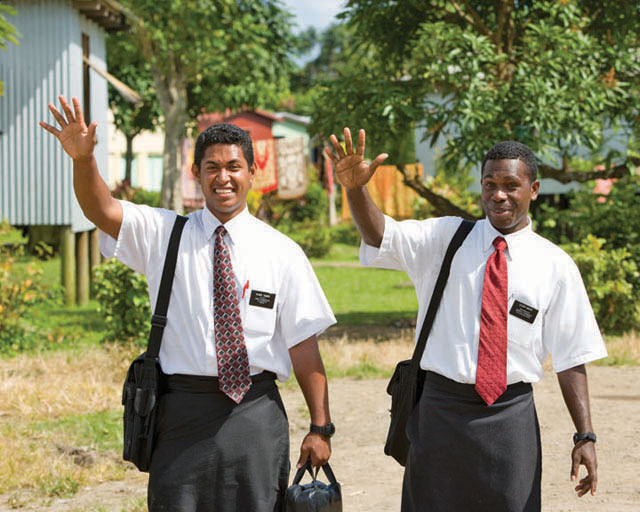 “Is there a missionary who has never felt fear? I know of none. Of course we feel fear now and again. Some are fearful of tracting. Some are fearful of their own capacity. Some are fearful of dogs. Some are fearful of speaking out in declaration of the truth. All of us experience fear now and again. But God has not given us the spirit of fear. That comes from the adversary. When we recognize that, then we can tell the Devil to get behind us, and we can go forward with courage.